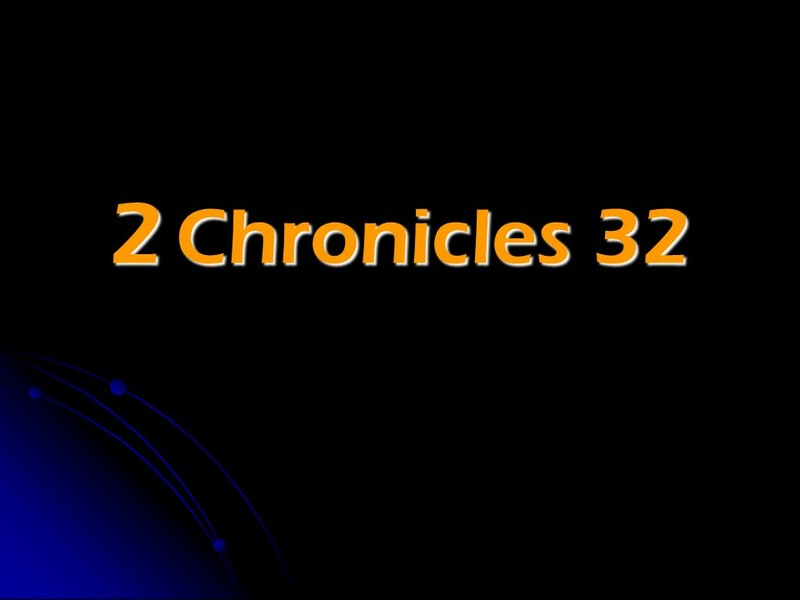 2 Chronicles – Len Bilén's blog, a blog about faith, politics and the environment. Posted on November 13, 2018 Categories 2 Chronicles, Bible, faithTags 2 Chronicles, faith, Holy Bible, religionLeave a comment on 2 Chronicles. 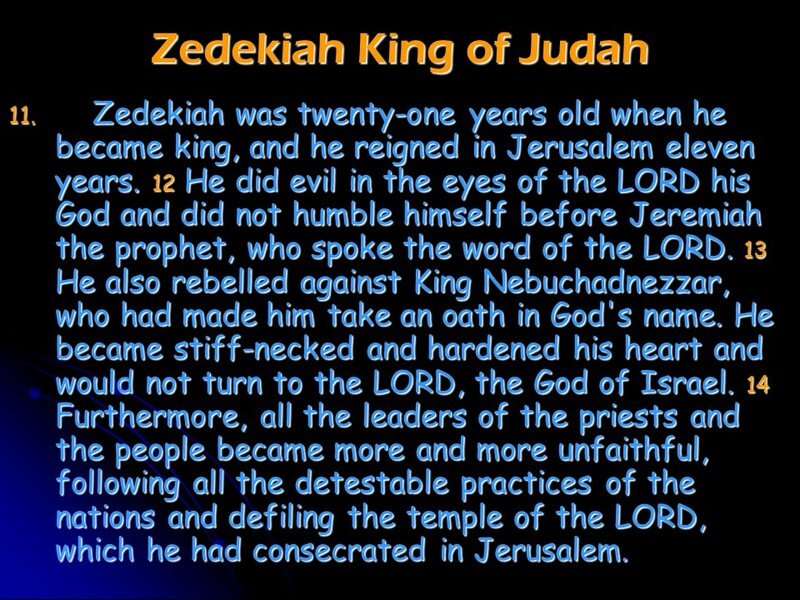 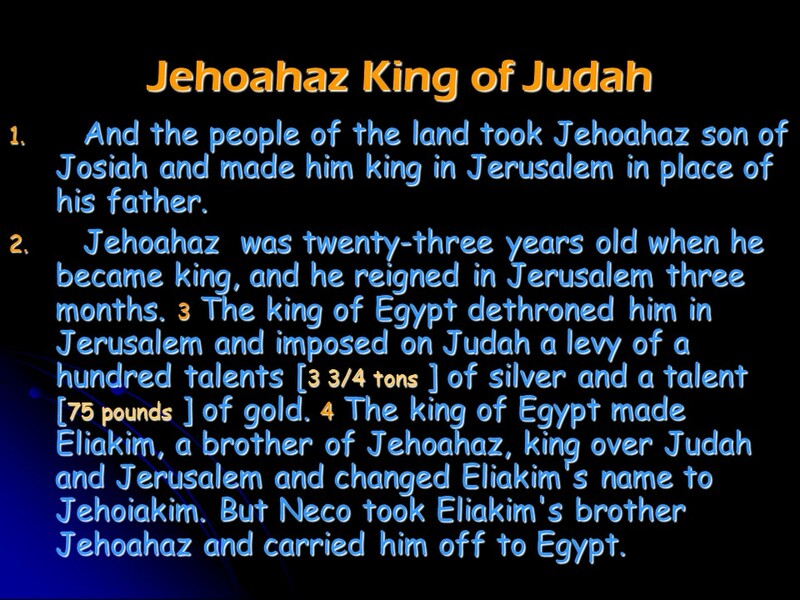 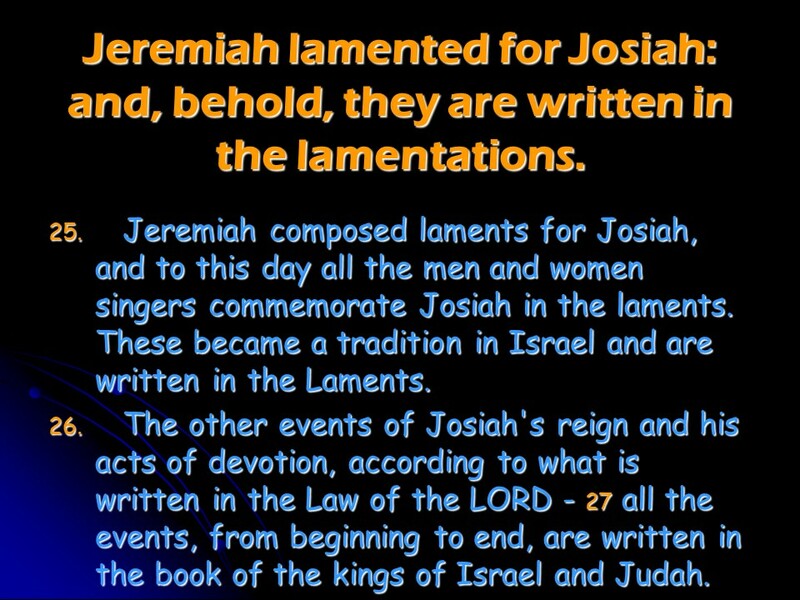 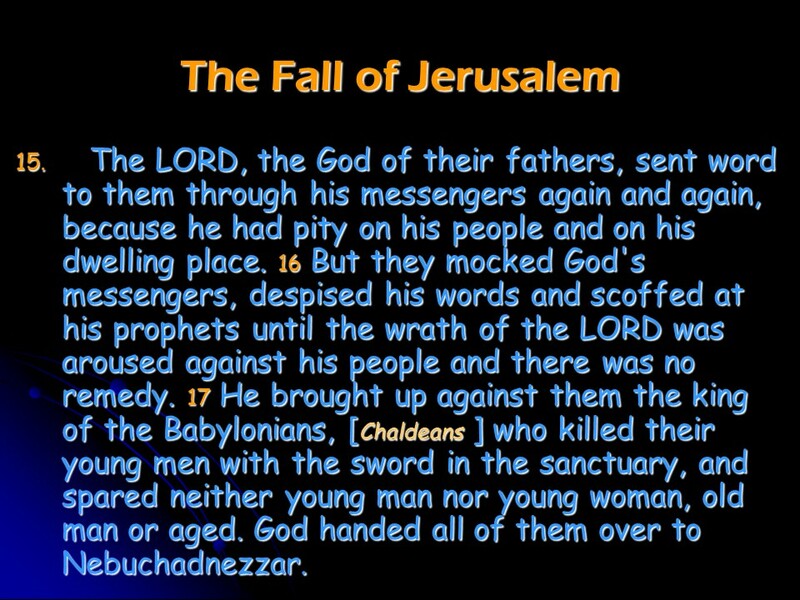 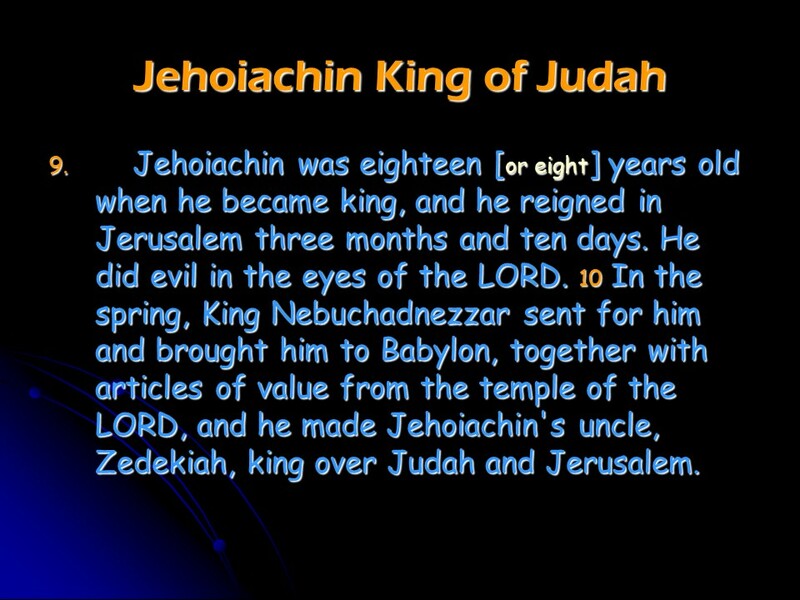 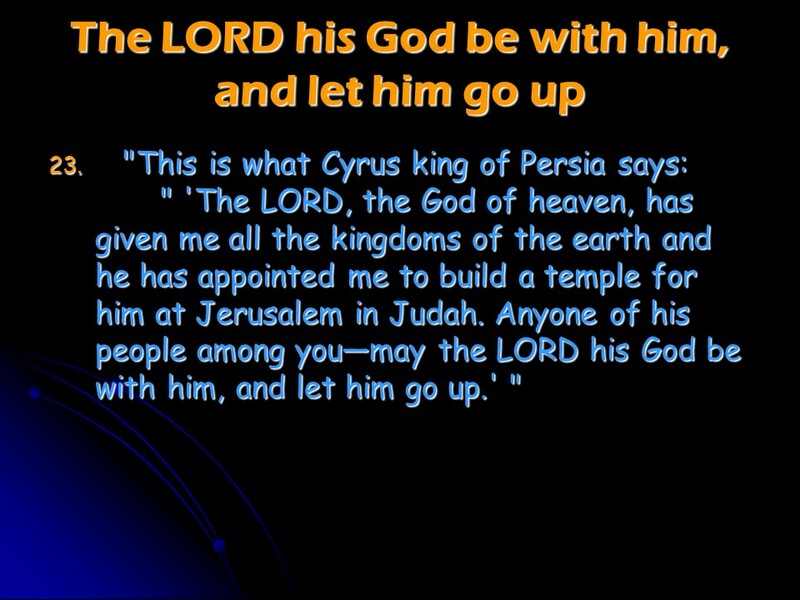 2 Chronicles 36, the Reign and Captivity of Jehoahaz, the Reign ans Captivity of Jehoiakim, the Reign and Captivity of Jehoiachin, Zedekiah Reigns in Judah, The Fall of Jerusalem, Cyrus’ Proclamation. 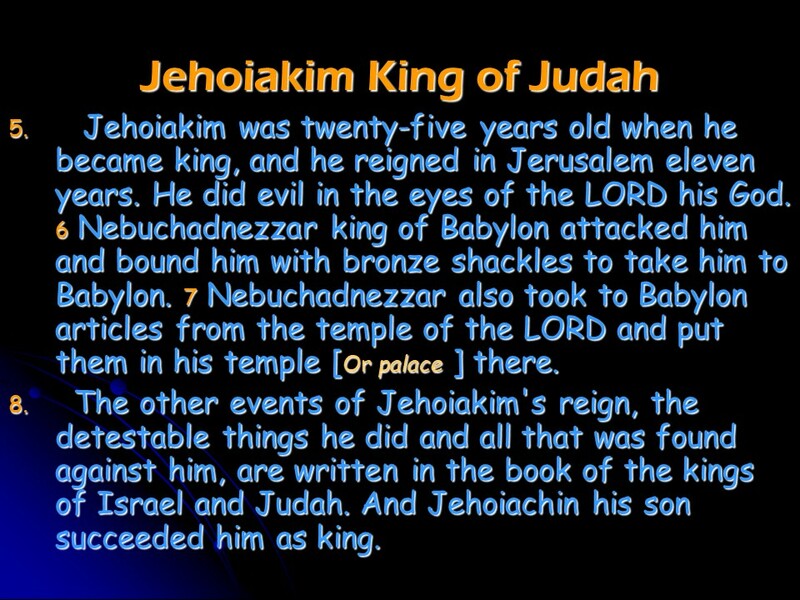 Posted on November 12, 2018 Categories 2 Chronicles, Bible, faithTags 2 Chronicles 36, Cyrus' Proclamation, faith, Holy Bible, religion, the Fall of Jerusalem, the Reign and Captivity of Jehoahaz, the Reign and Captivity of Jehoiachin, the Reign ans Captivity of Jehoiakim, Zedekiah Reigns in JudahLeave a comment on 2 Chronicles 36, the Reign and Captivity of Jehoahaz, the Reign ans Captivity of Jehoiakim, the Reign and Captivity of Jehoiachin, Zedekiah Reigns in Judah, The Fall of Jerusalem, Cyrus’ Proclamation. 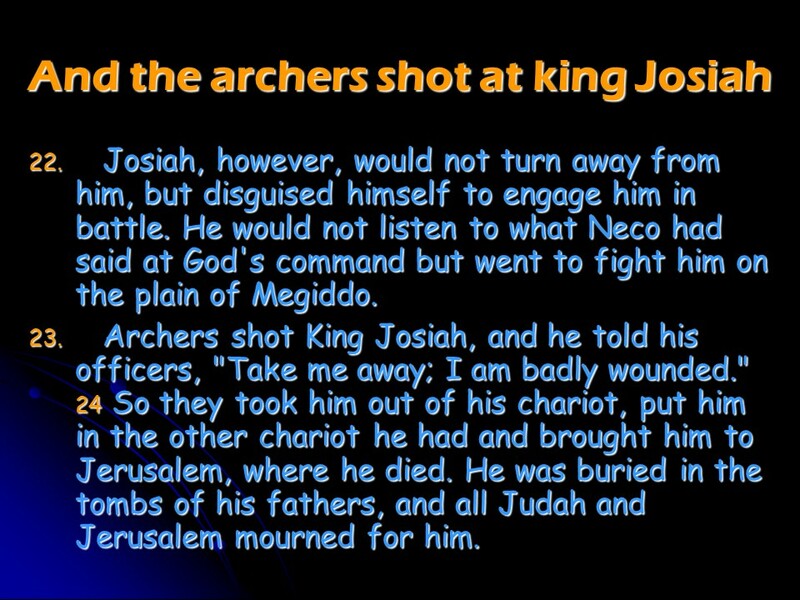 2 Chronicles 35, Josiah Keeps the Passover, Josiah Dies in Battle. 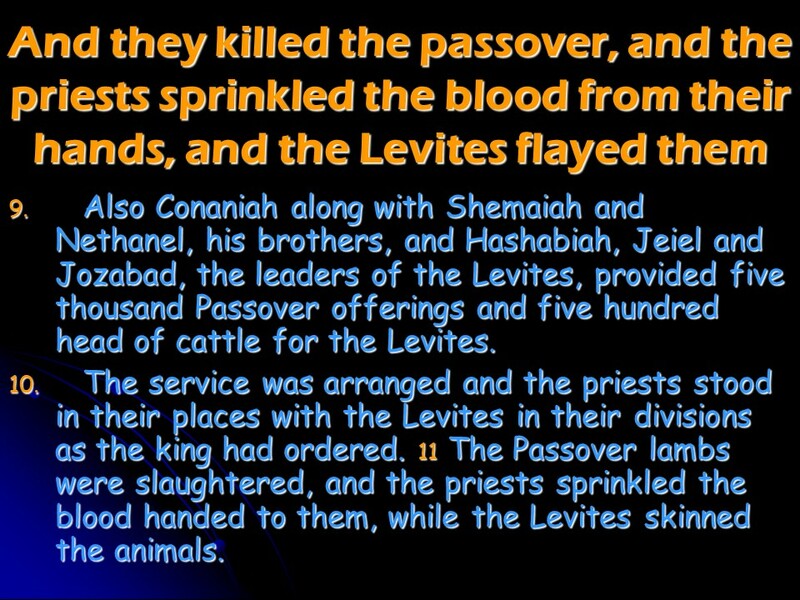 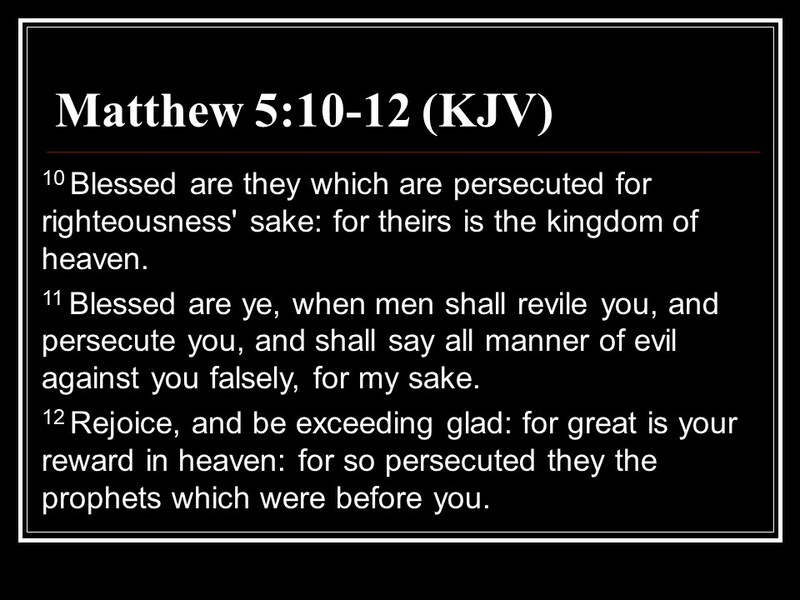 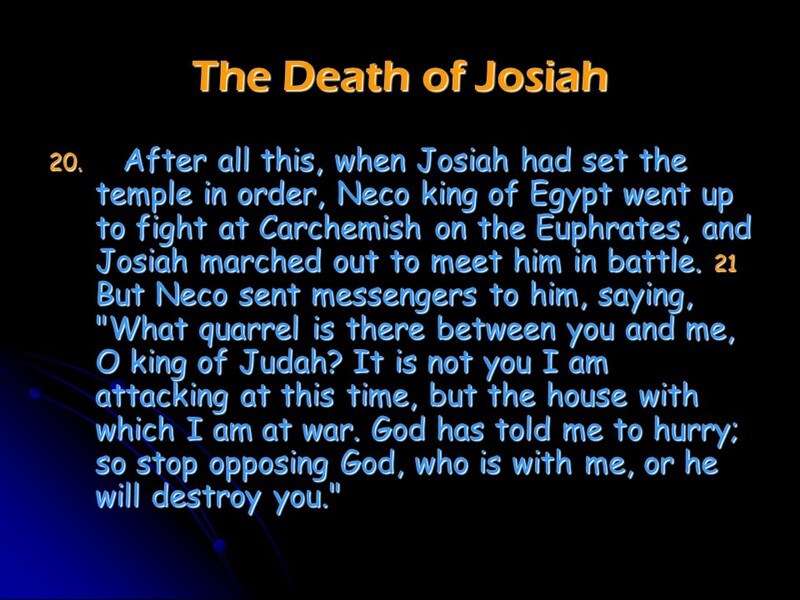 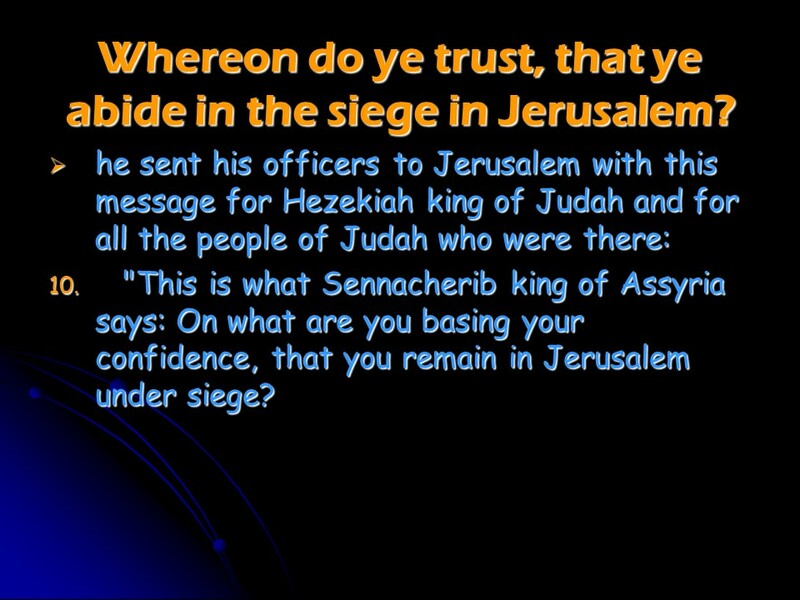 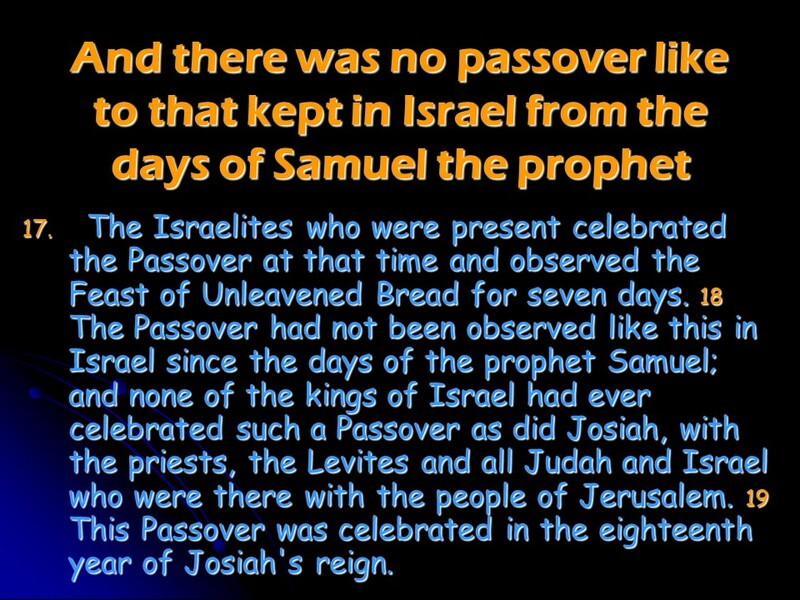 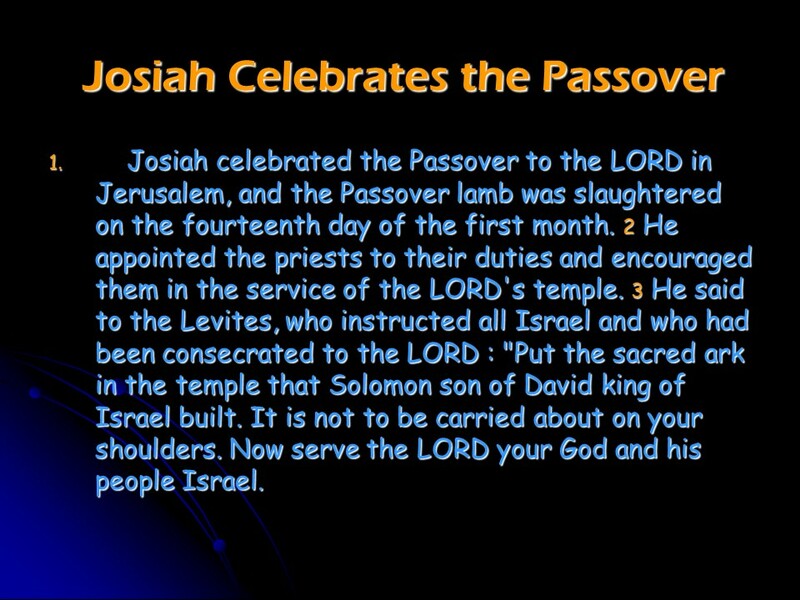 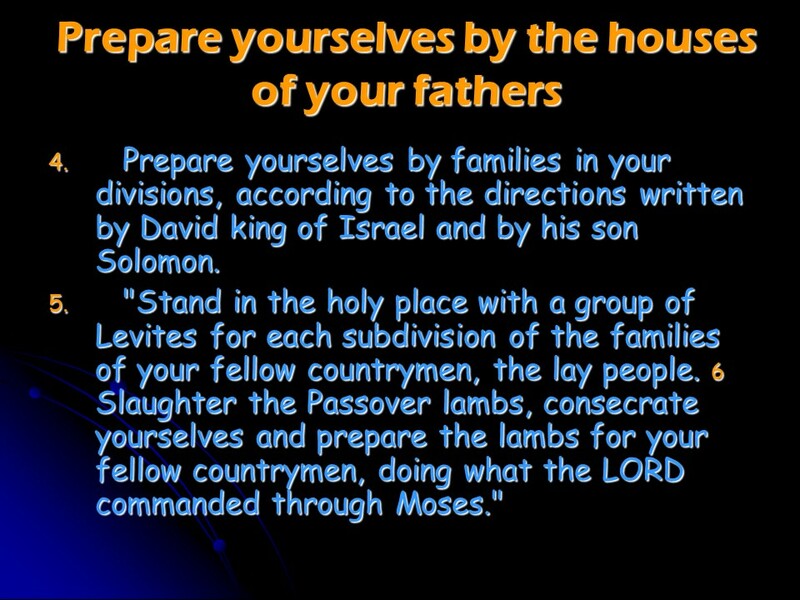 Posted on November 11, 2018 Categories 2 Chronicles, Bible, faithTags 2 Chronicles 35, faith, Holy Bible, Josiah Dies in Battle, Josiah Keeps the Passover, religionLeave a comment on 2 Chronicles 35, Josiah Keeps the Passover, Josiah Dies in Battle. 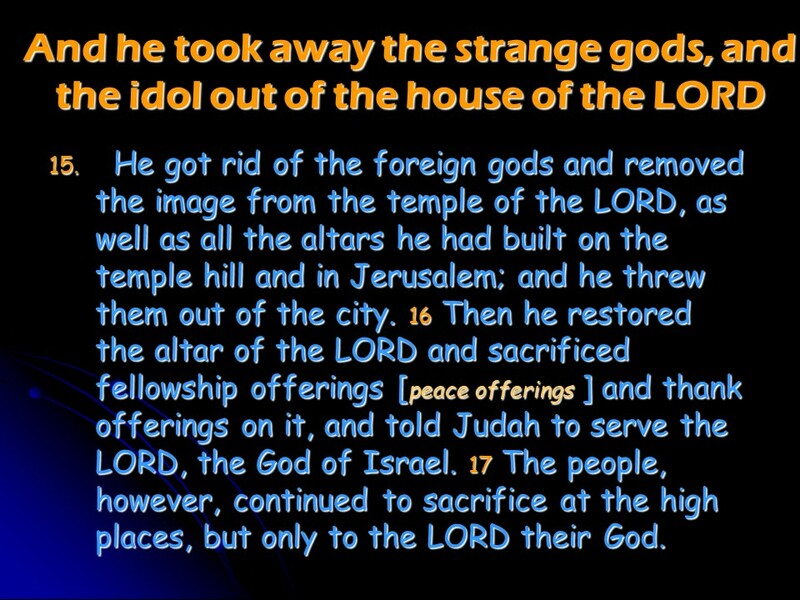 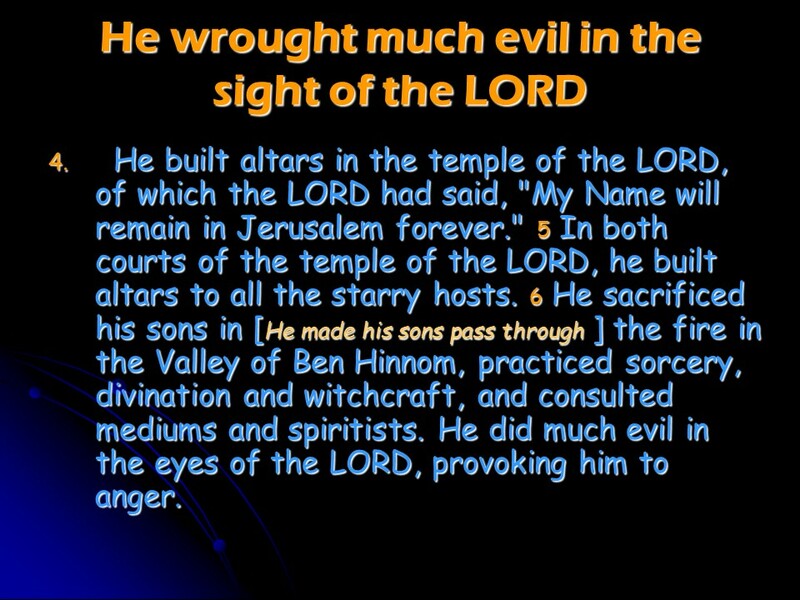 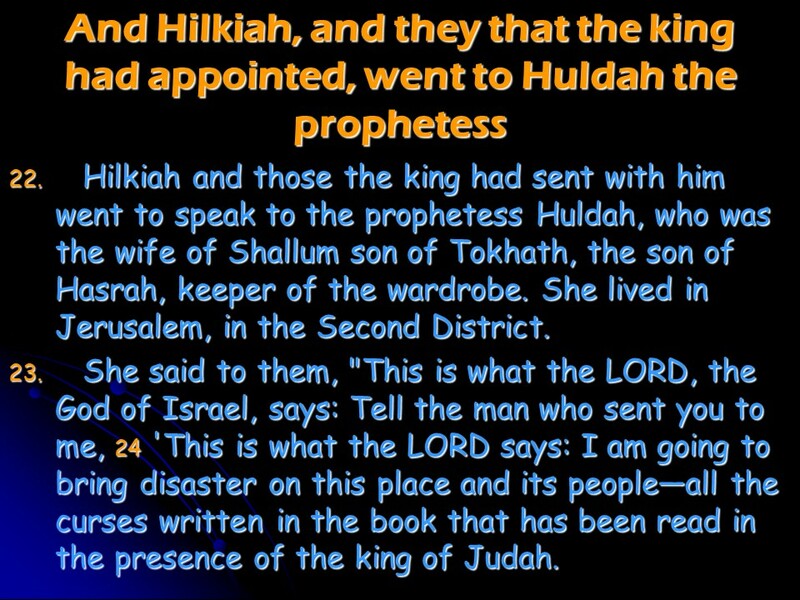 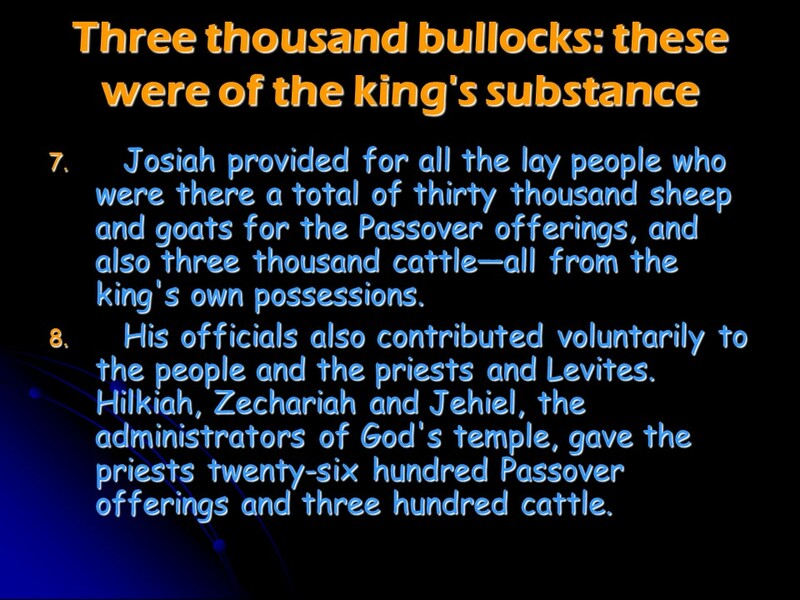 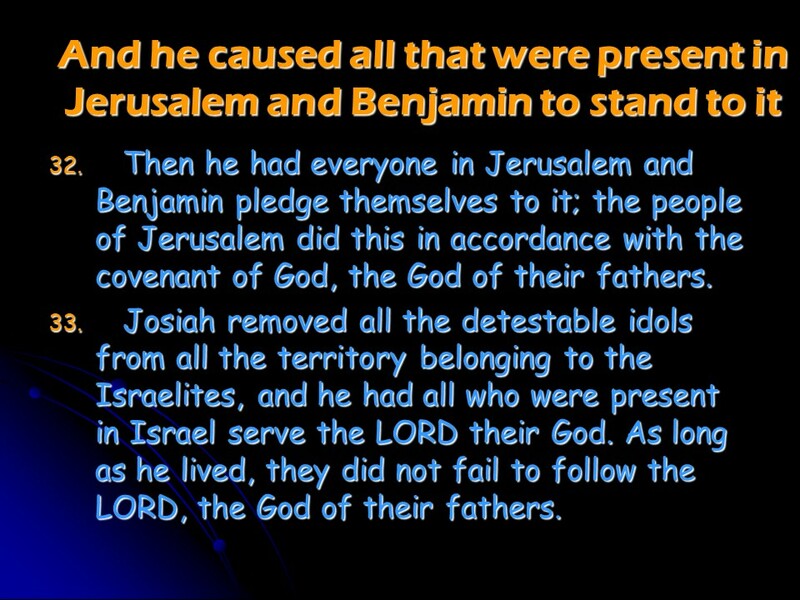 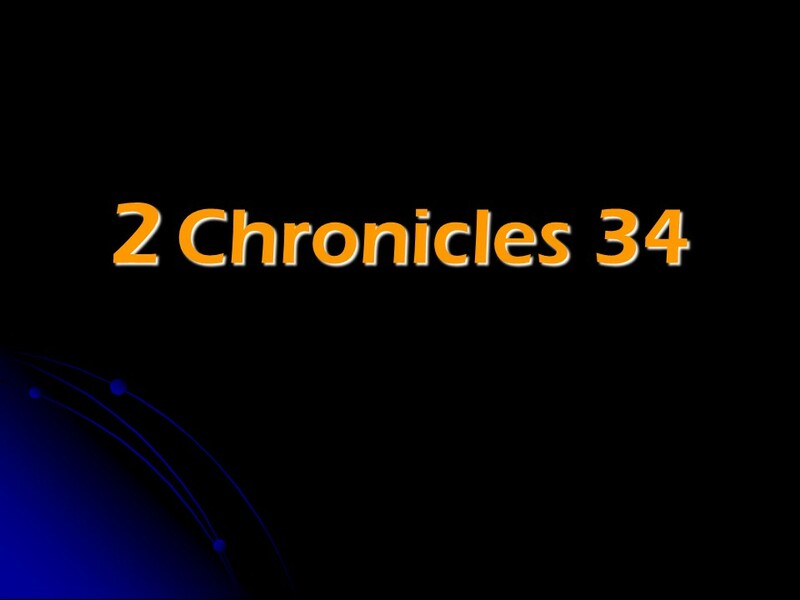 2 Chronicles 34, Josiah Reigns in Judah, Hilkiah Finds the Book of the Law, Josiah restores the Worship. 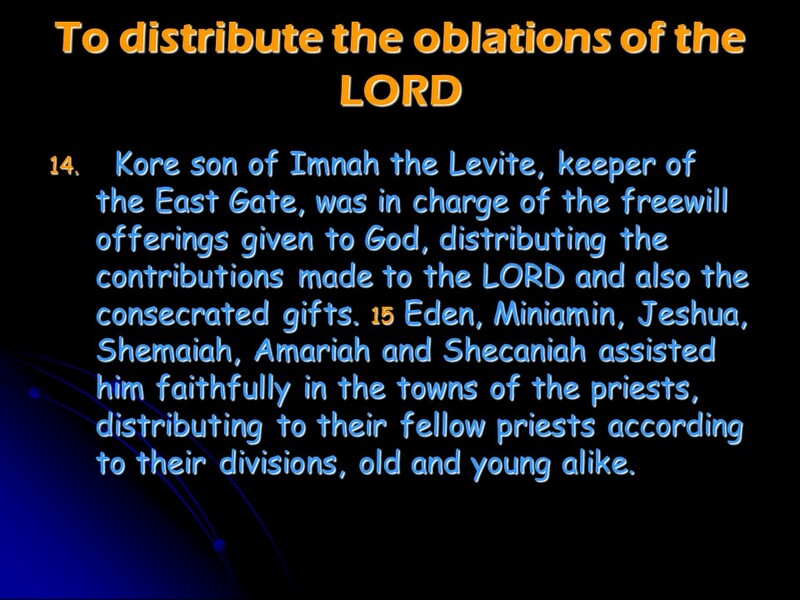 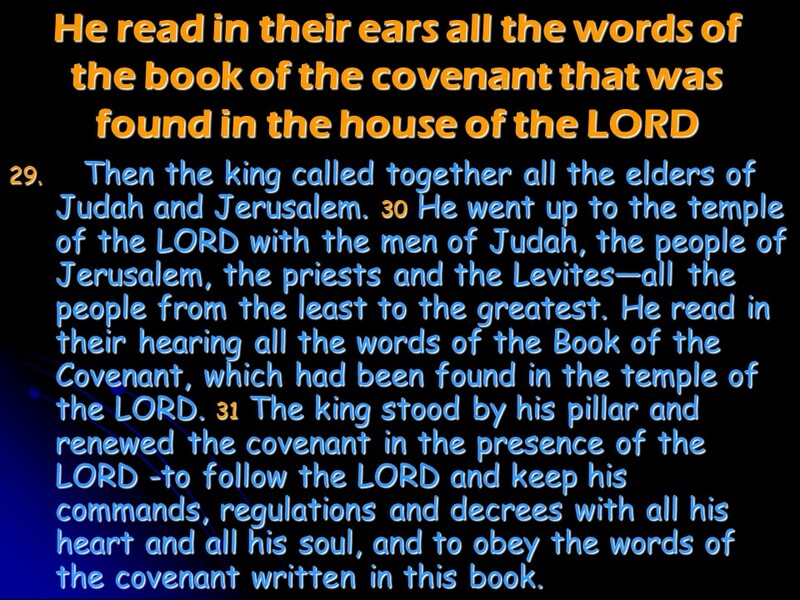 Posted on November 10, 2018 Categories 2 Chronicles, Bible, faithTags 2 Chronicles 34, faith, Hilkiah Finds the Book of the Law, Holy Bible, Josiah Reigns in Judah, Josiah Restores the Worship, religionLeave a comment on 2 Chronicles 34, Josiah Reigns in Judah, Hilkiah Finds the Book of the Law, Josiah restores the Worship. 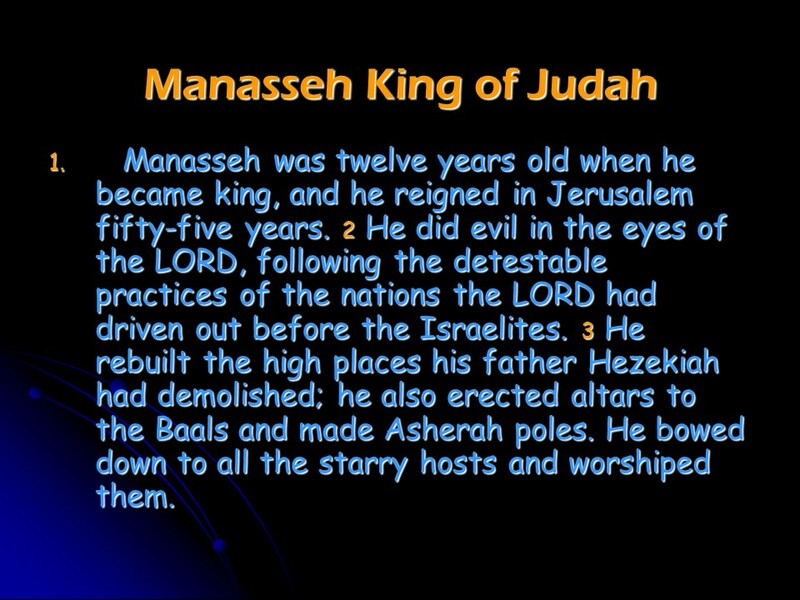 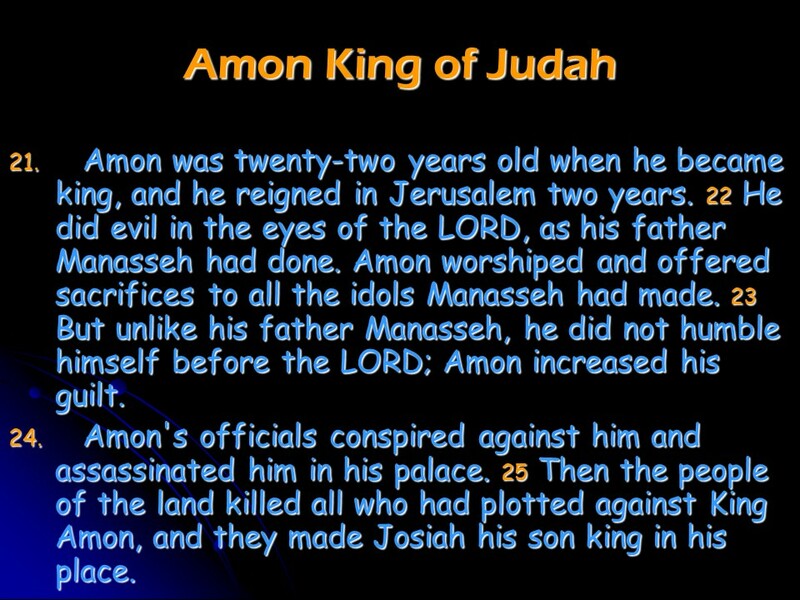 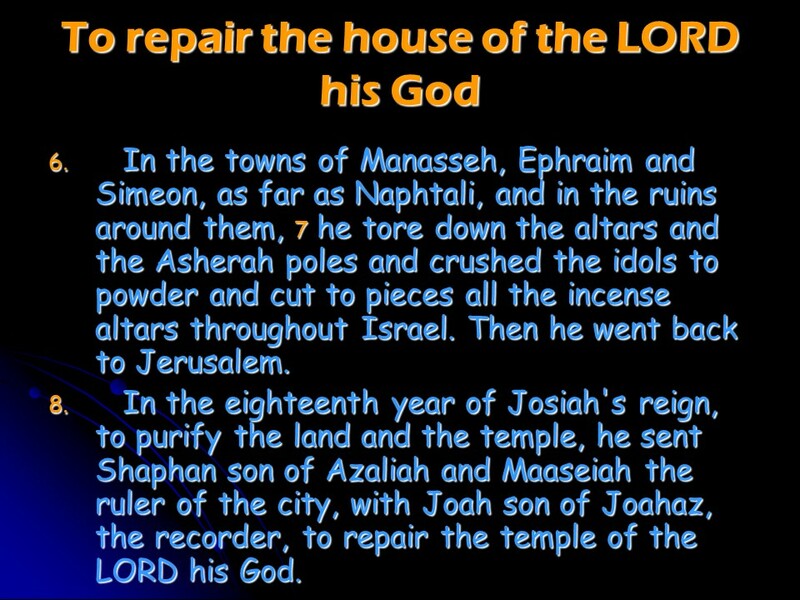 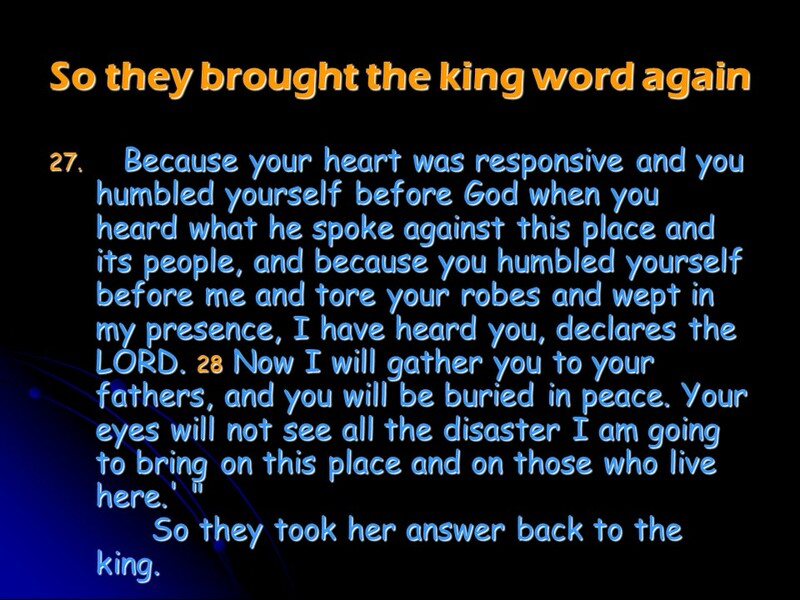 2 Chronicles 33, Manasseh Reigns in Judah, Manasseh Repents and is Restored, Death of Manasseh, Amon’s Reign and Death. 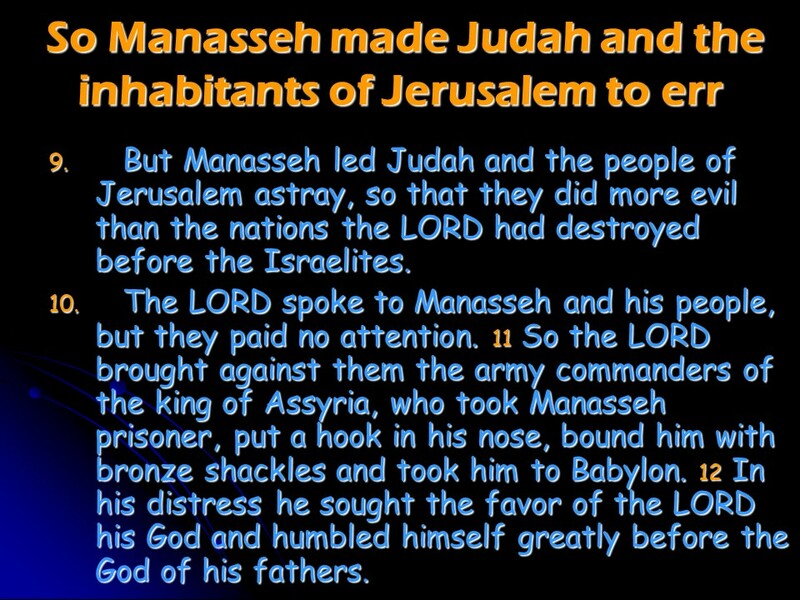 Posted on November 9, 2018 Categories 2 Chronicles, Bible, faithTags 2 Chronicles 33, Amon's Reign and Death, Death of Manasseh, faith, Holy Bible, Manasseh Reigns in Judah, Manasseh Repents and is Restored, religionLeave a comment on 2 Chronicles 33, Manasseh Reigns in Judah, Manasseh Repents and is Restored, Death of Manasseh, Amon’s Reign and Death. 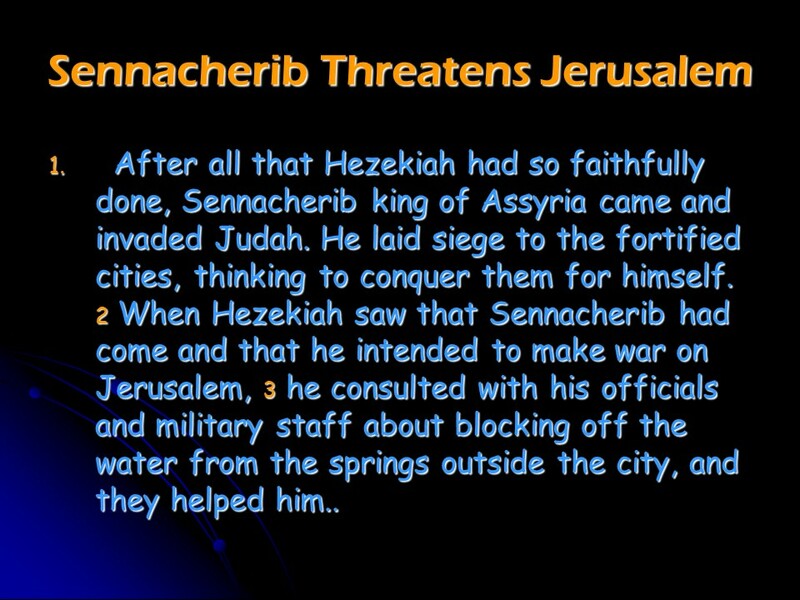 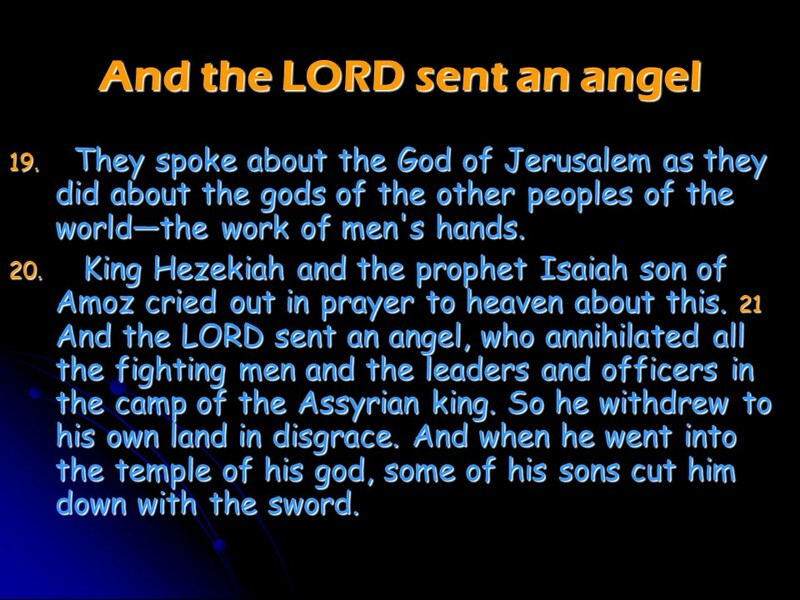 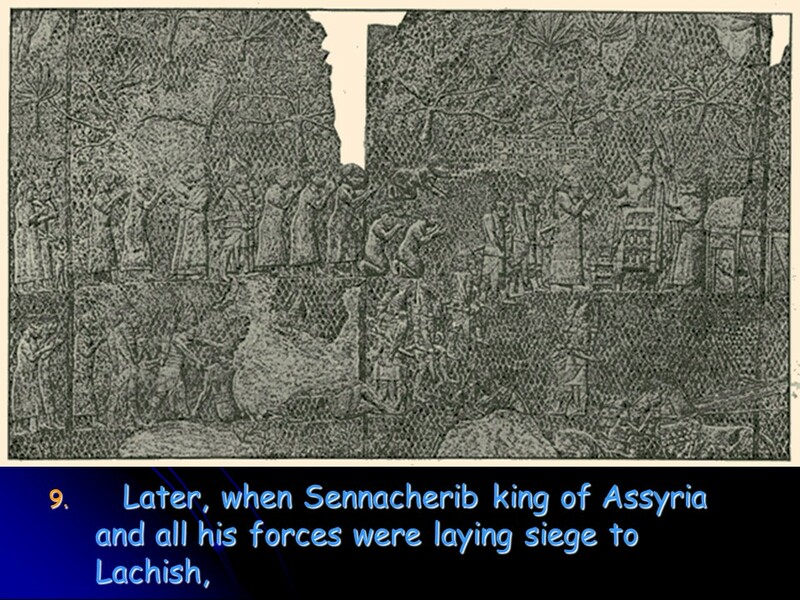 2 Chronicles 32, Sennacherib boasts against the LORD, Sennacherib’s Defeat and Death, Hezekiah Humbles Himself, Hezekiah’s Wealth and Honor, Hezekiah’s Death. 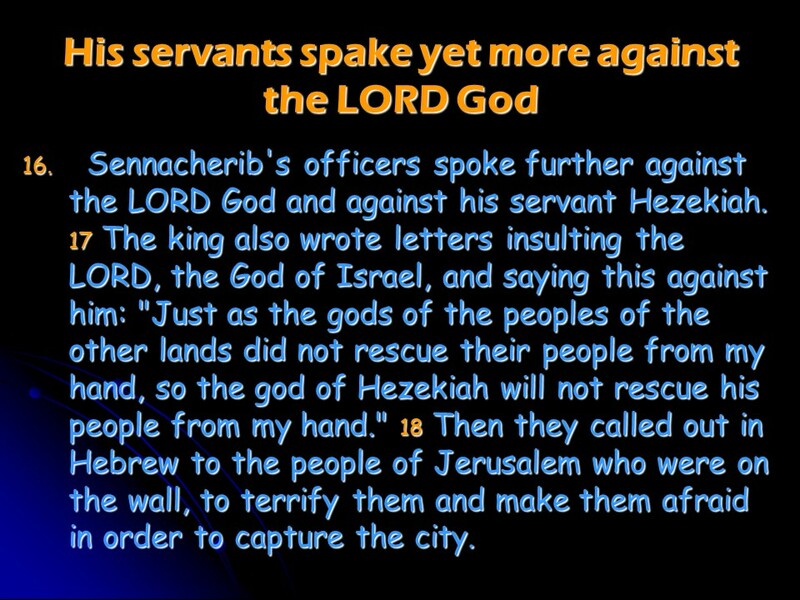 Posted on November 8, 2018 Categories 2 Chronicles, Bible, faithTags 2 Chronicles 32, faith, Hezekiah Humbles Himself, Hezekiah's Death, Hezekiah's Wealth and Honor, Holy Bible, religion, Sennacherib boasts against the LORD, Sennacherib's Defeat and DeathLeave a comment on 2 Chronicles 32, Sennacherib boasts against the LORD, Sennacherib’s Defeat and Death, Hezekiah Humbles Himself, Hezekiah’s Wealth and Honor, Hezekiah’s Death. 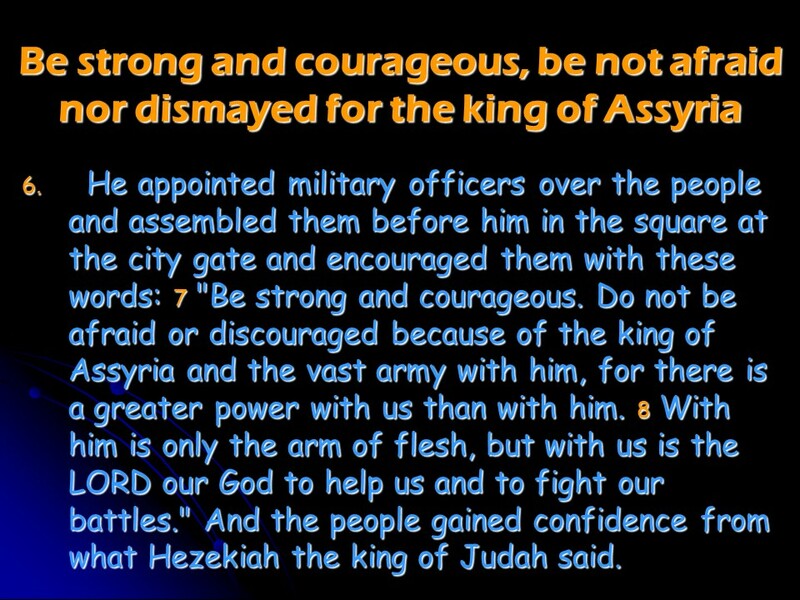 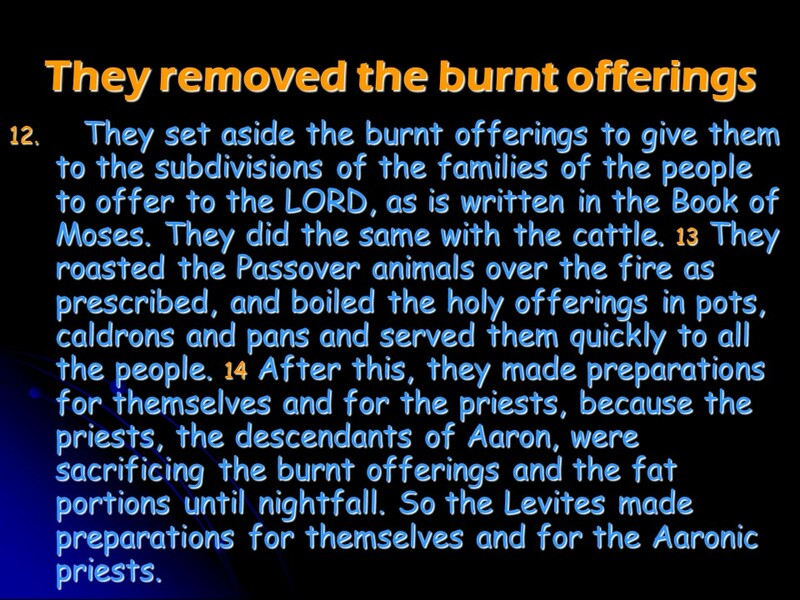 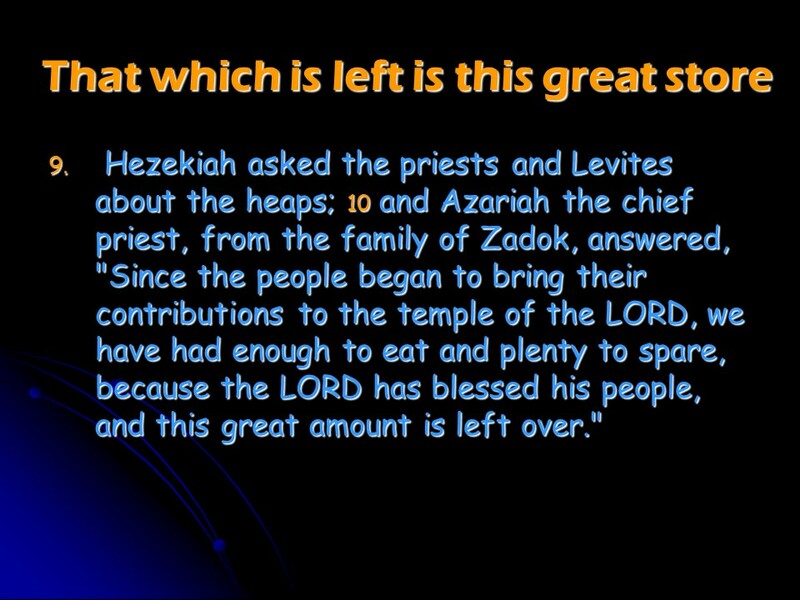 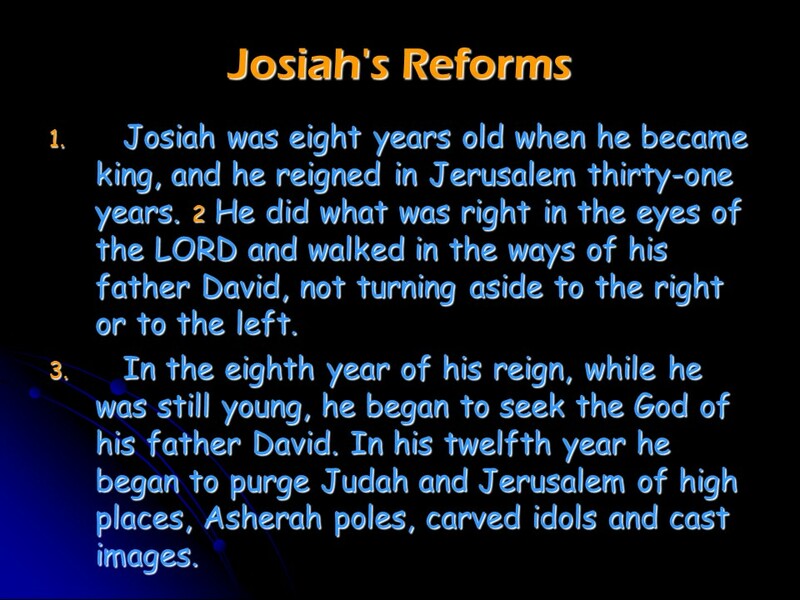 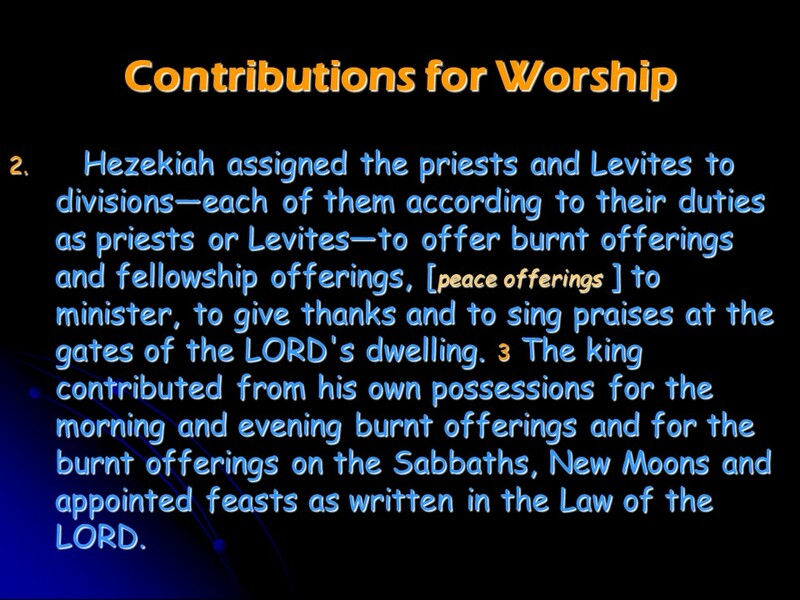 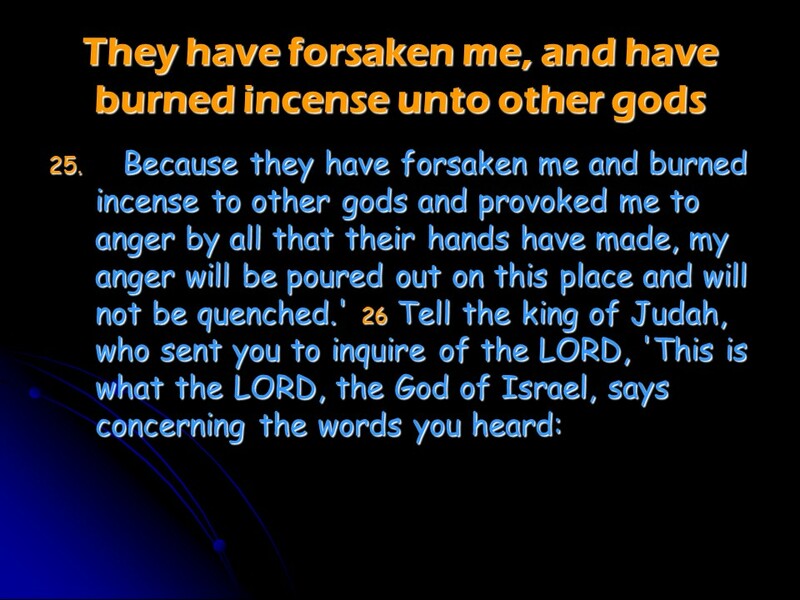 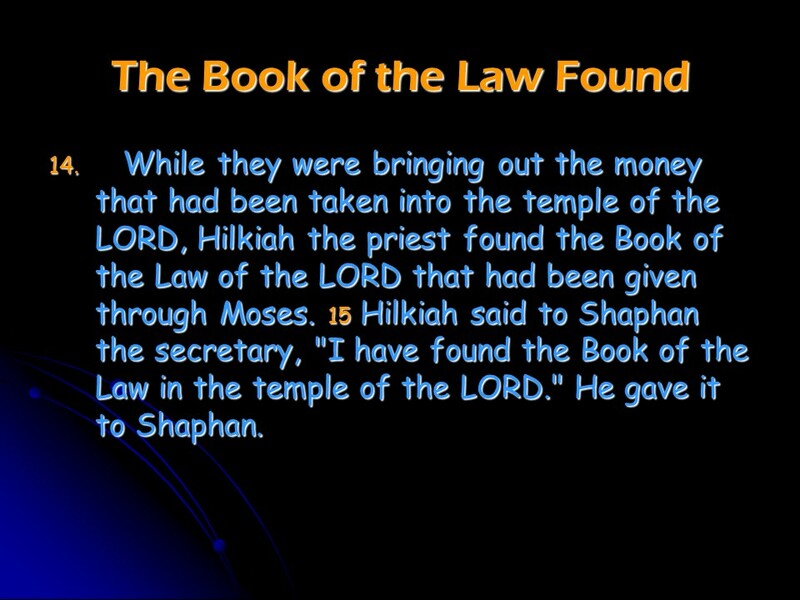 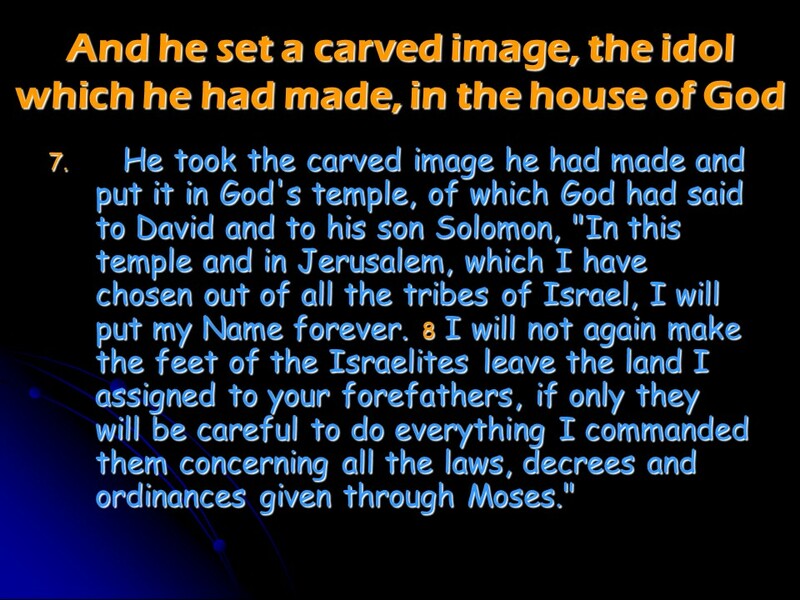 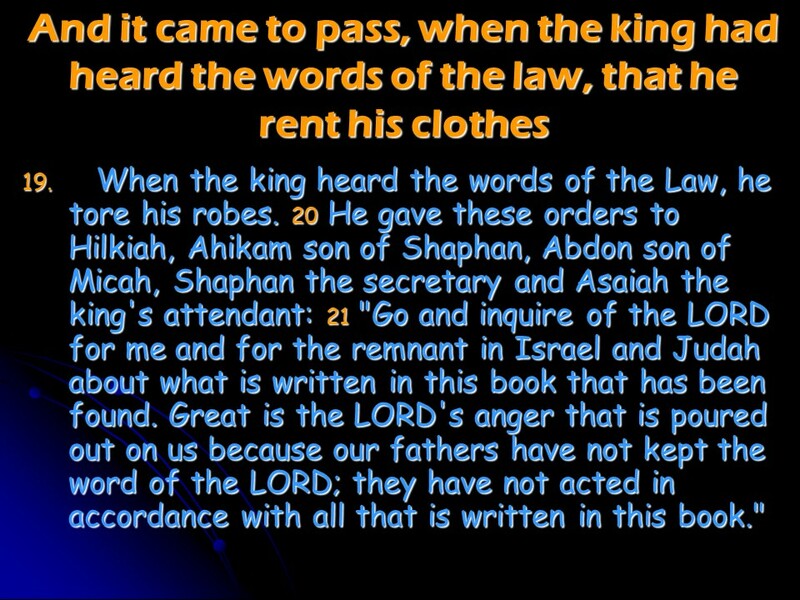 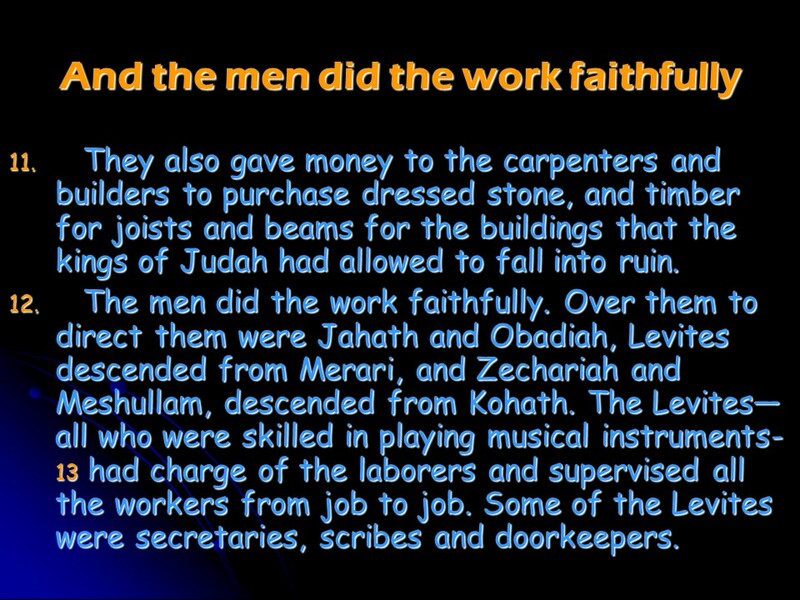 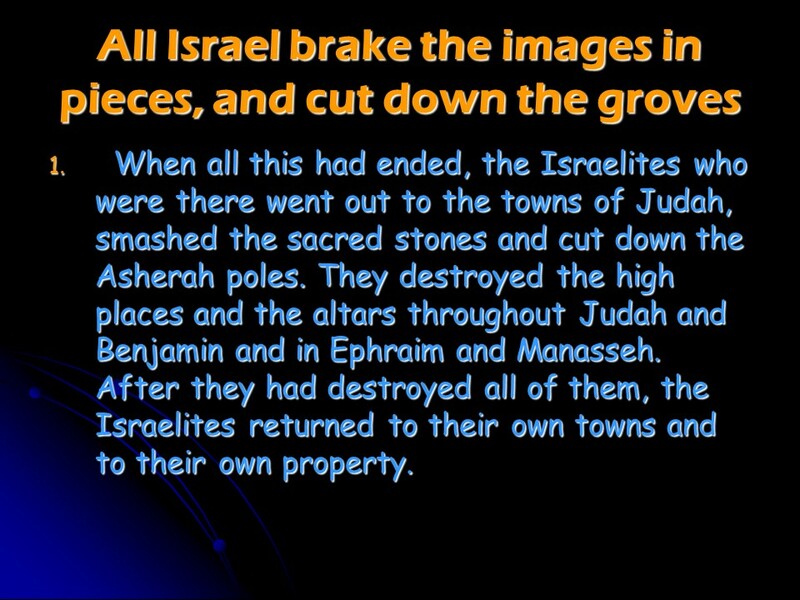 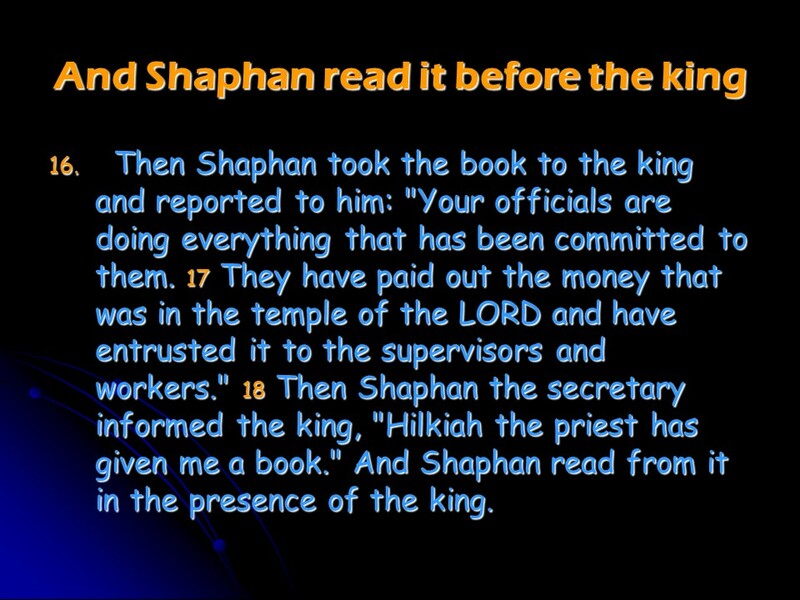 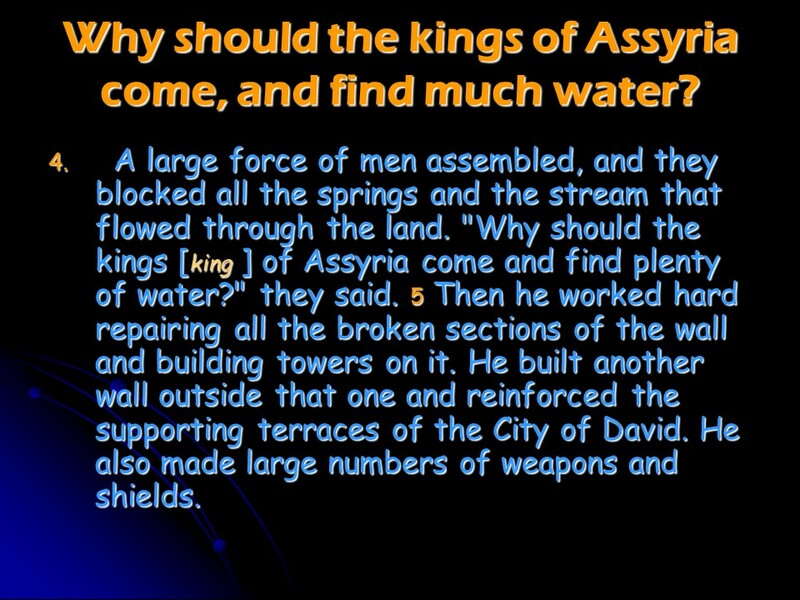 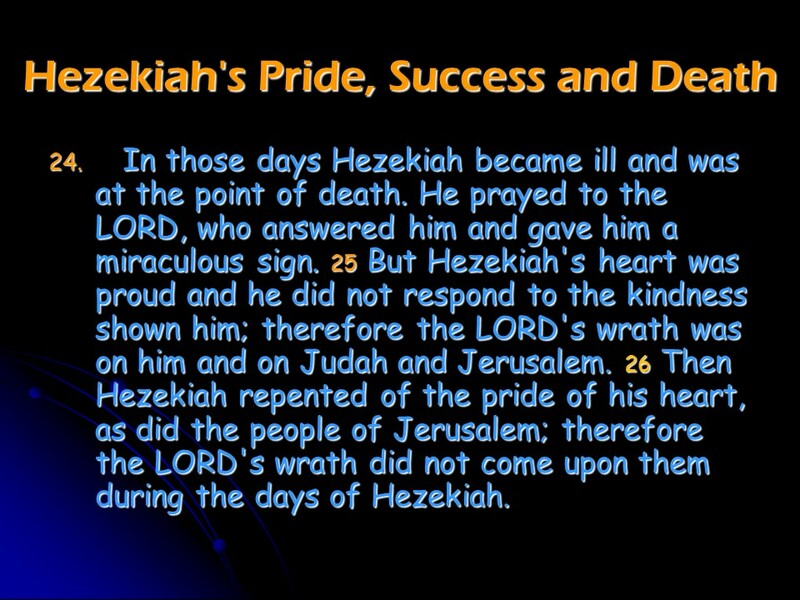 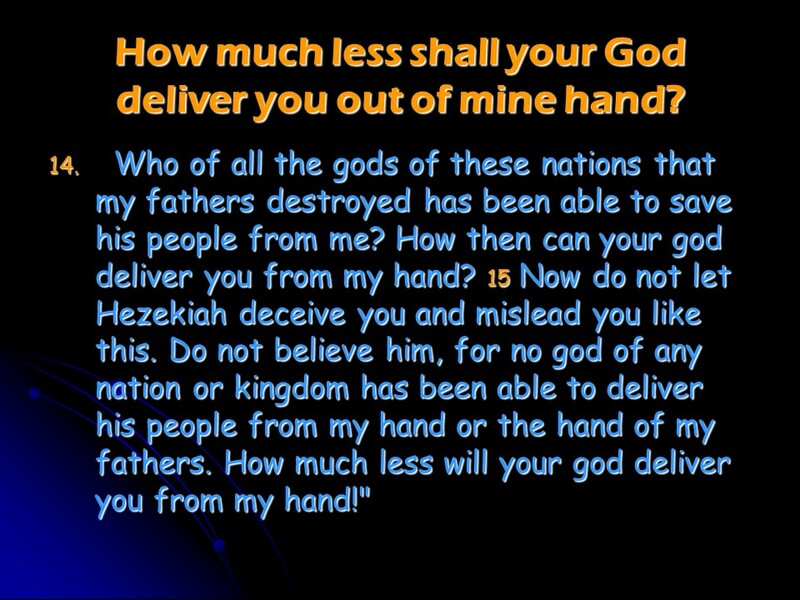 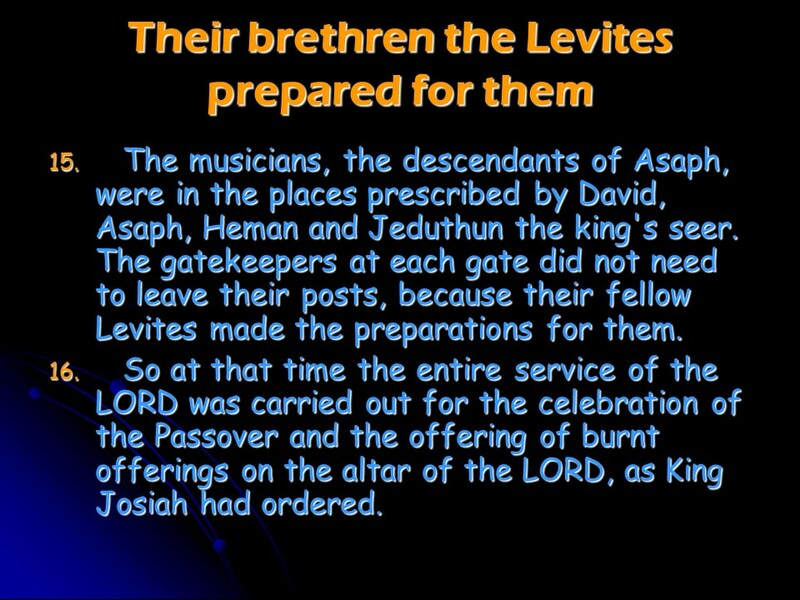 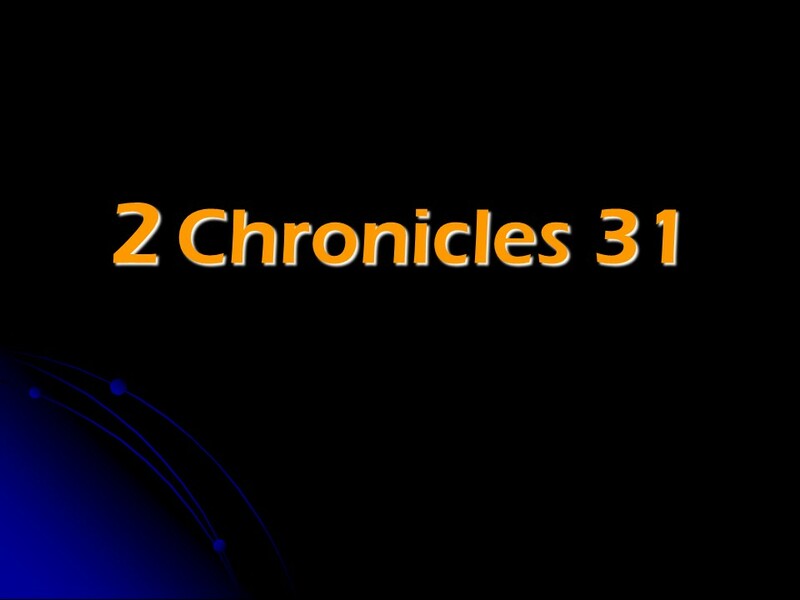 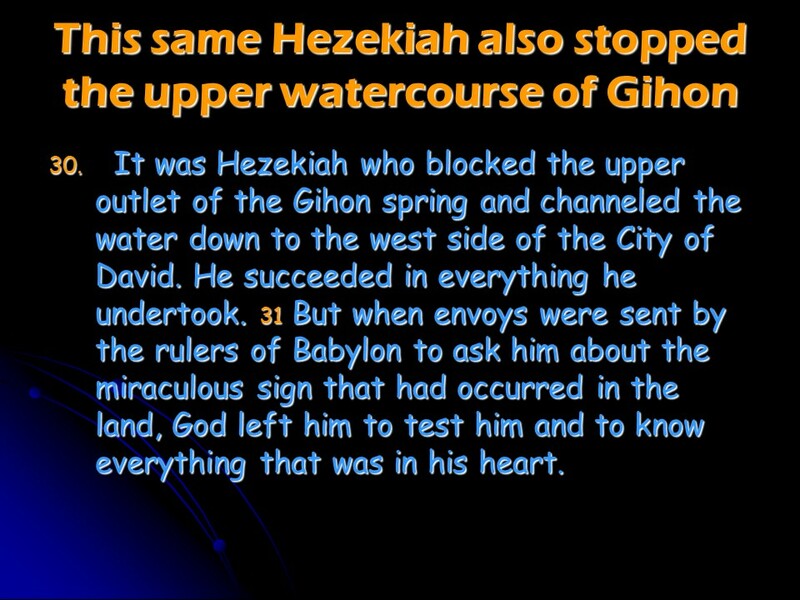 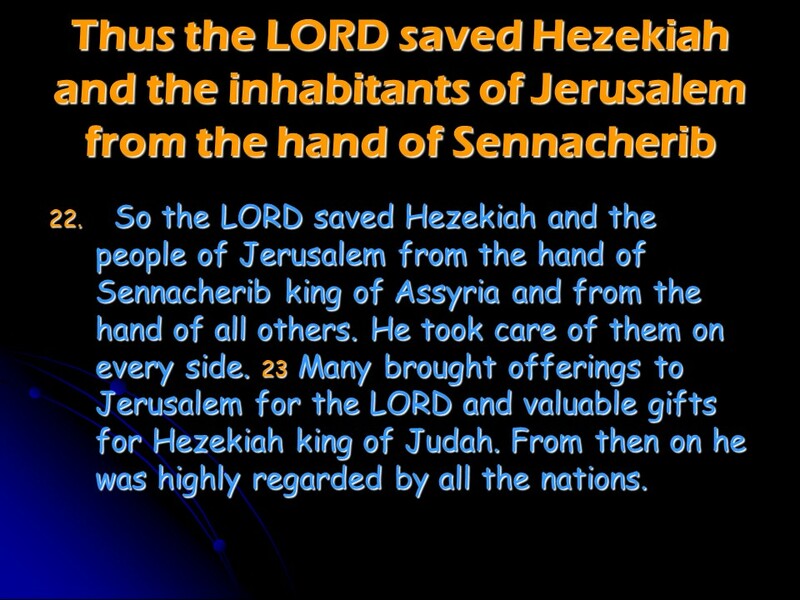 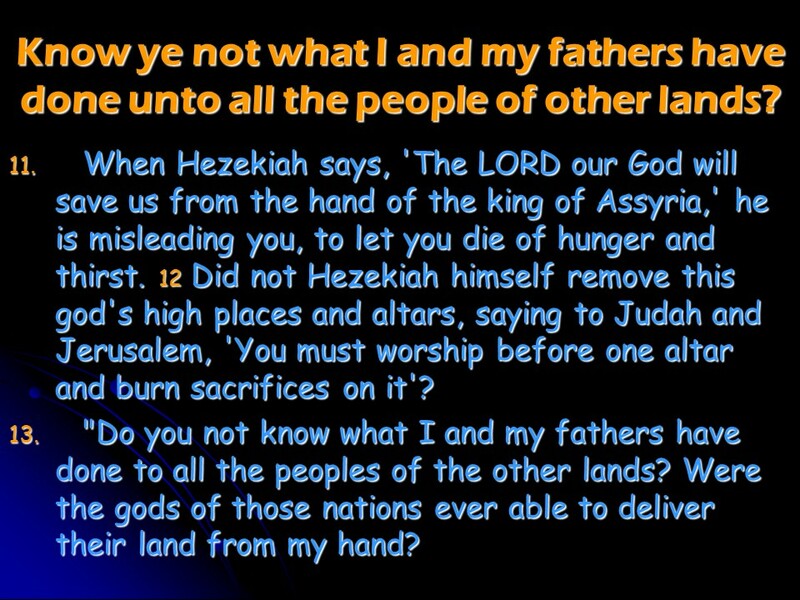 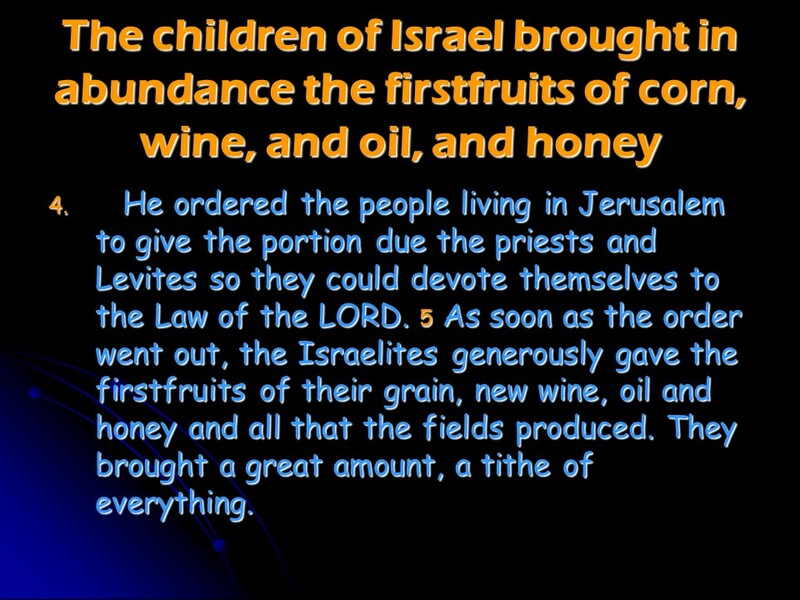 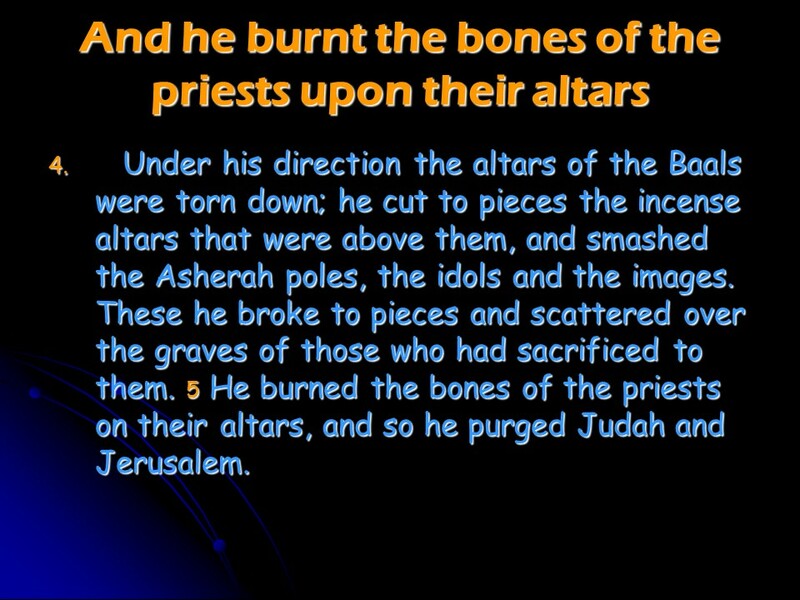 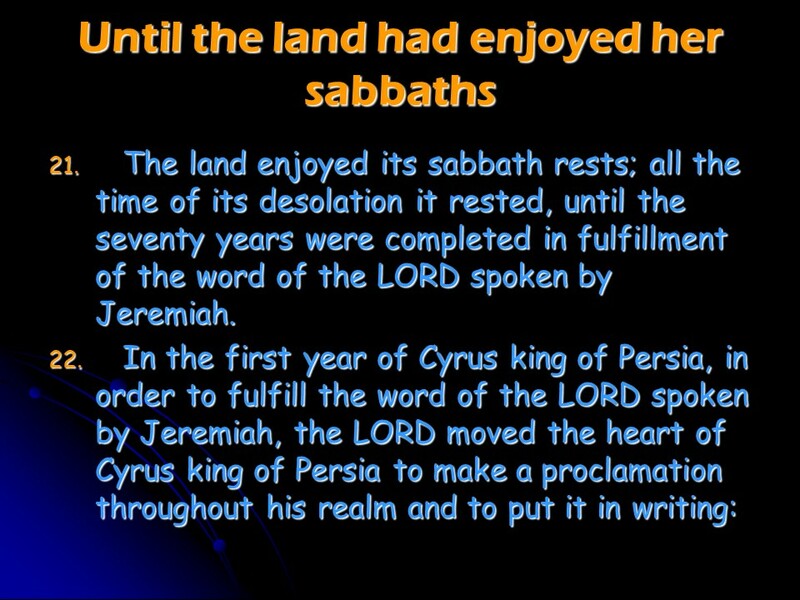 2 Chronicles 31, the Reforms of Hezekiah. 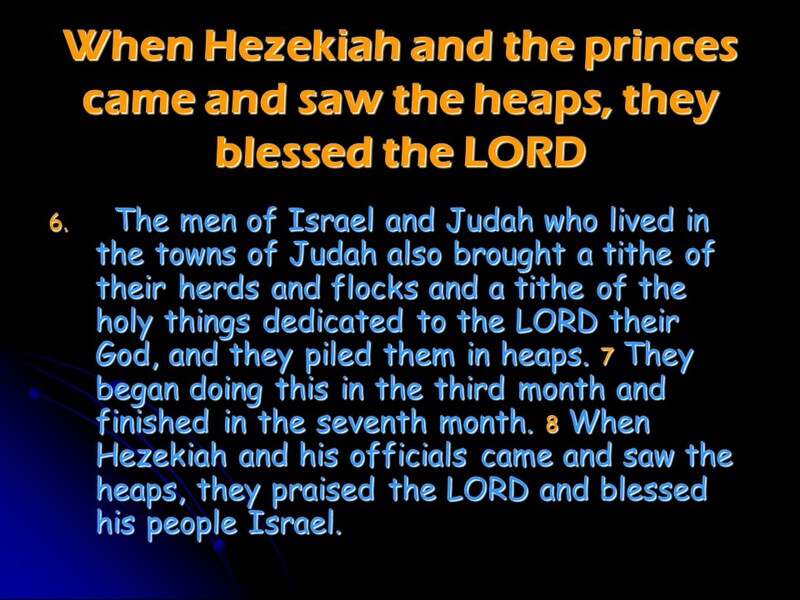 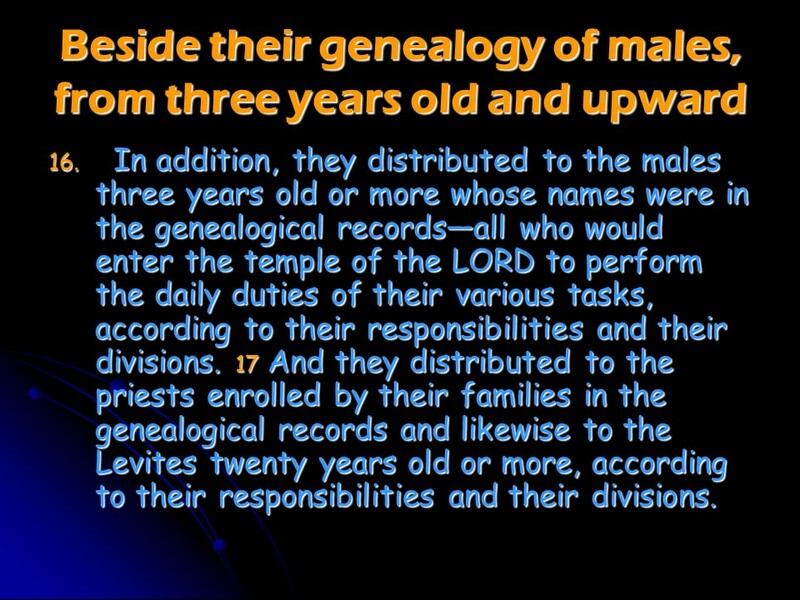 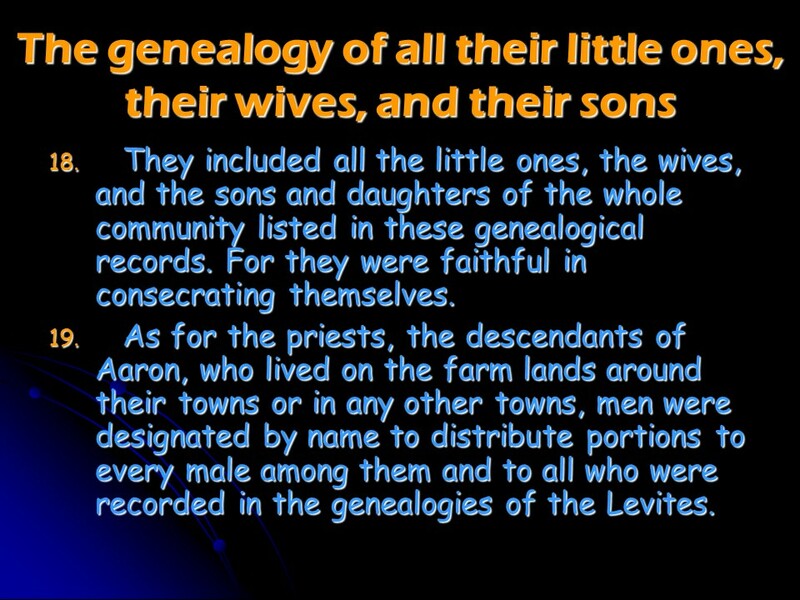 Posted on November 7, 2018 Categories 2 Chronicles, Bible, faithTags 2 Chronicles 31, faith, Holy Bible, religion, the Reforms of HezekiahLeave a comment on 2 Chronicles 31, the Reforms of Hezekiah.